We're giving away 100 FREE digital subscriptions worth £14.99 / $24.99 to Scuba Diver magazine. No gimmicks, No catches, No renewals just AMAZING content for divers in the UK, Australia & New Zealand. Grab your FREE copy today before its to late. Scuba Diver is the ultimate independent resource for diving. Optimised for reading on any device and packed with news, helpful tips, equipment reviews, photography and travel reports from around the world. UK EDITION - Region specific news and content to divers across European countries. AUSTRALIA EDITION - Region specific news and content for divers living in Australia, New Zealand and the Asia Pacific countries. Subscriptions are sent once per month, per edition. 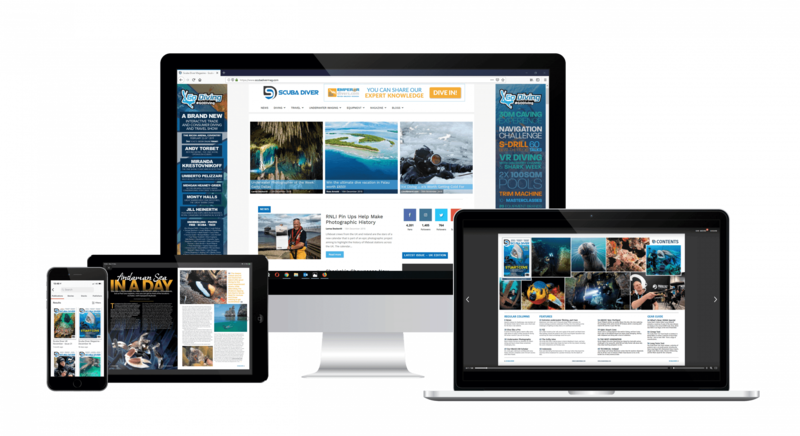 The Scuba Diver newsletter is sent three times per week and is packed full of the latest news, equipment test, hints, tips, travel reports, offers and competitions. Sign up and grab your free subscription today.